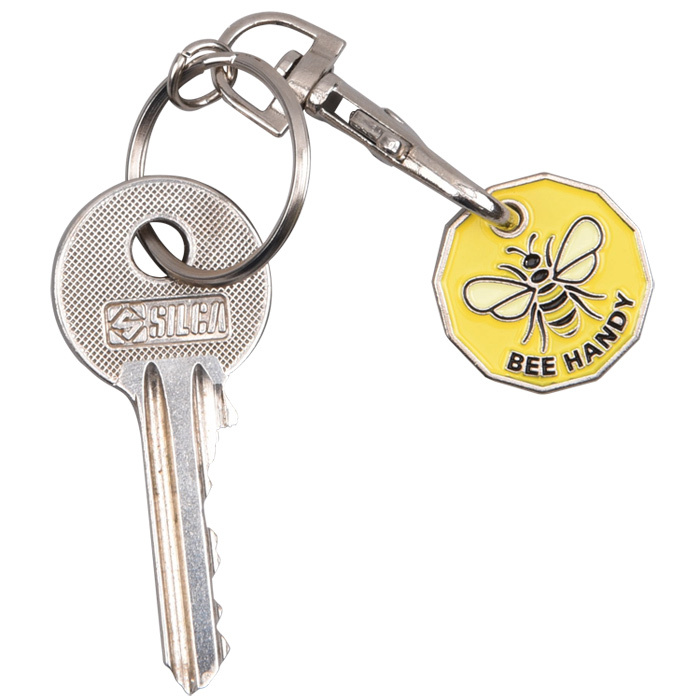 Metal £1 token (12 edge design) that clips on to a metal keyring attachment so it's always close to hand. A handy and practical giveaway that's sure to be used over and over agai. Perfect to sell on to raise awareness and funds for a good cause. Ask about printed backing cards and packaging options (costs extra).